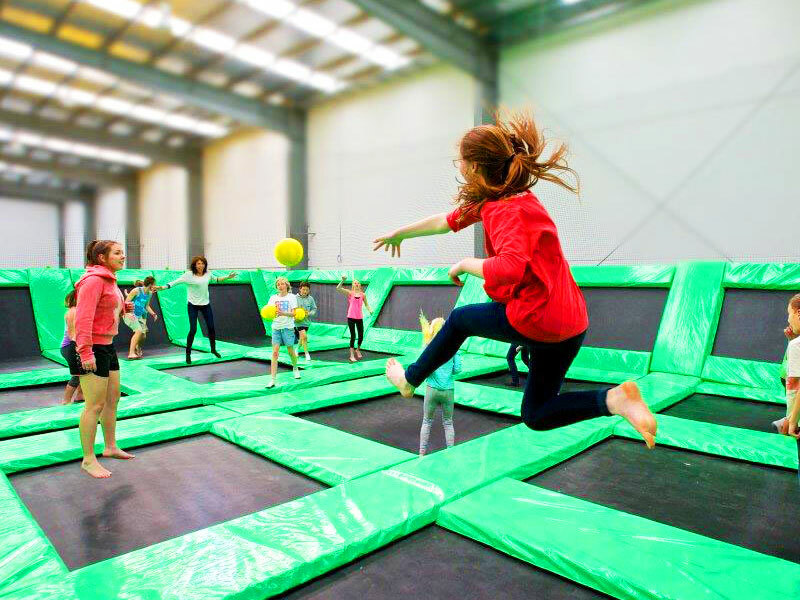 Featuring over 180 Trampolines, a Multi-Level Laser Tag Arena and our very own Ninja Zone – we have over 4000sq metres of gravity-defying mayhem! 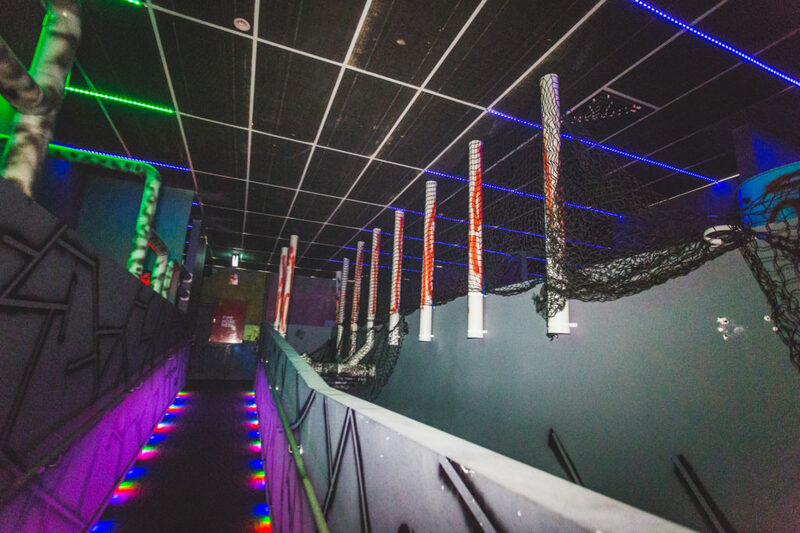 Gravity Zone Laser Tag Arena is a massive, multi-level, air conditioned, fully interactive arena complete with smoke machines, targets and team bases. Laser tag is fun and fantastic for strategizing. 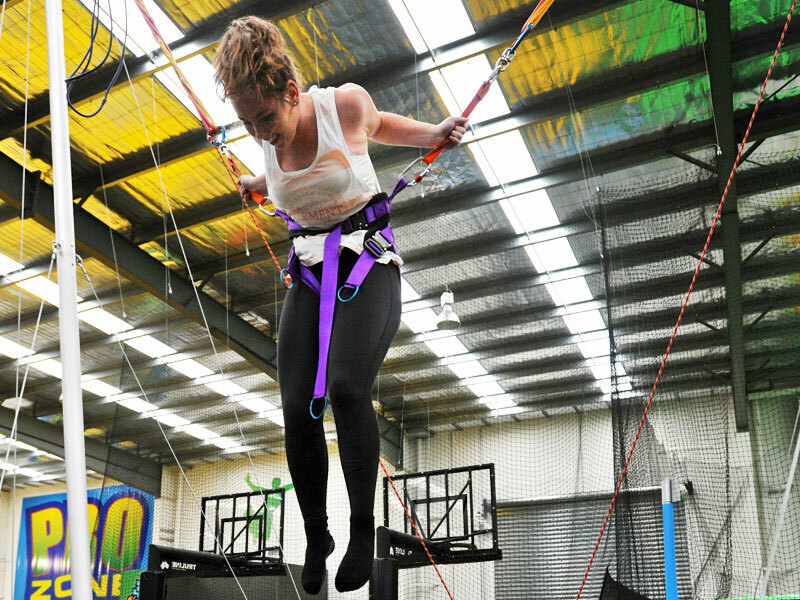 Take on up to 40 of your mates for an action packed birthday party or teambuilding session. 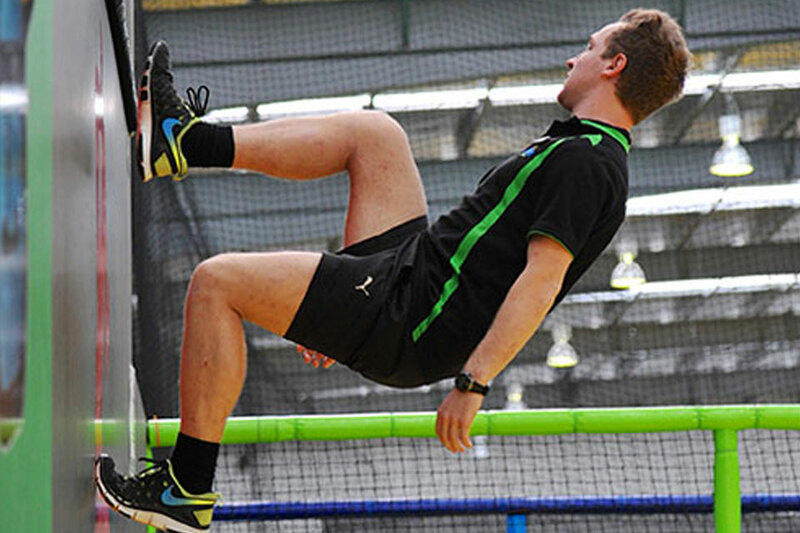 The High performance trampolines are available to guests with a peak level of skill with trampolining and air sports. This area is utilized by athletes who are looking at advancing their sports such as cheerleading, skate boarding, snow boarding and elevated trampoline sports. Our Little Leapers own dedicated trampoline and indoor playground area where they can jump freely and safely developing both gross and fine motor skills transferable in everyday life, while parents are able to easily observe their children from the tables and chairs provided. Imagine trying tricks or new jumps and then land in a 2 meter deep foam pit full of super spongy foam blocks. 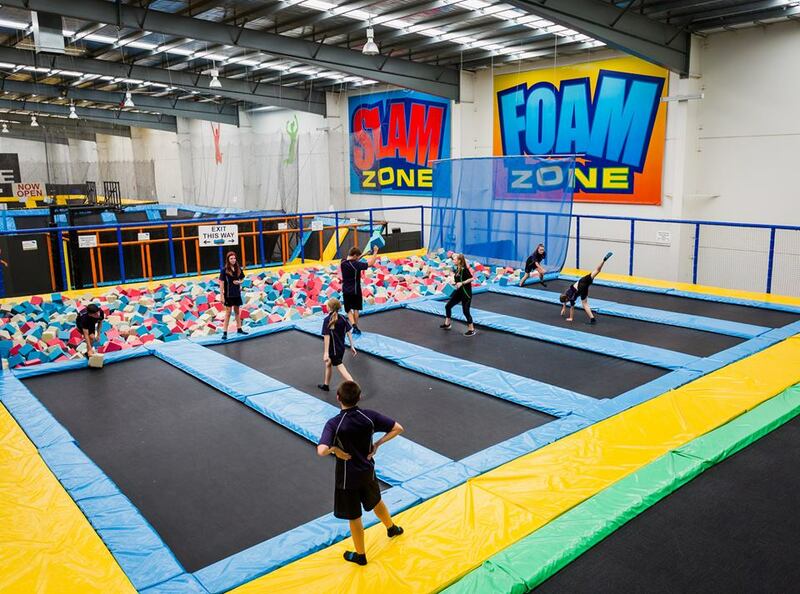 Gravity Zone has 5 trampolines that allow guests to jump into a super soft landing of foam. Foam pits provide a protected way to explore your jumping skills. 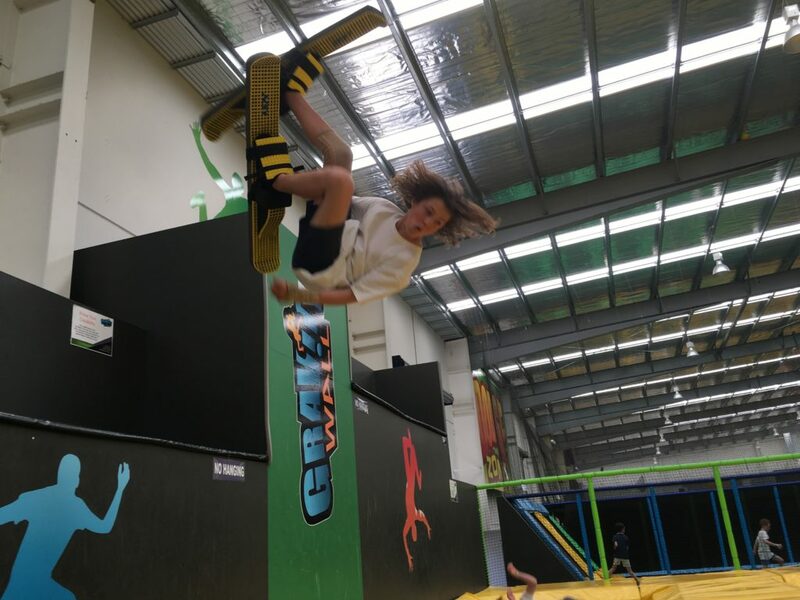 The Free-Jumping arena is amazing and offers guests of all ages the opportunity to jump freestyle and enjoy jumping at your own rate and comfort on over 70 trampolines. You are able to jump between trampolines and develop your own style. Practice your Michael Jordan moves in the basketball trampoline areas which allow solo or one-on-one basketball games. With a junior slam and senior slam everyone can play. This is a great chance to enjoy your favorite ball sport as well as defying gravity. With Gravity Team members on hand it’s easy to set up a game of Dodge with your friends or people you meet on the day. Dodgeball involves two teams who try to eliminate each other by throwing soft balls at each other while avoiding being hit themselves. 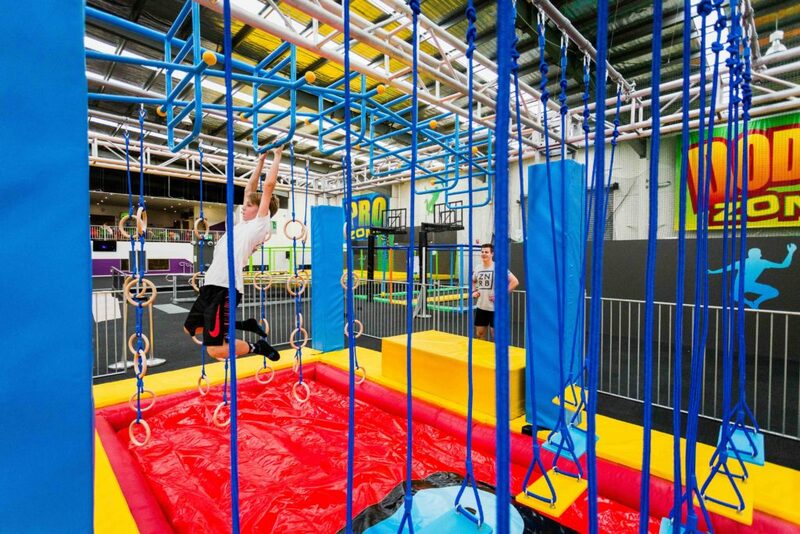 Our bespoke indoor Ninja Zone is the first of its kind in Australia! Challenge friends or simply race the clock on a maze of obstacles – you will climb, roll, balance, crawl, run or even fly! All set above our super “Gravity Air-Bag” for added safely. 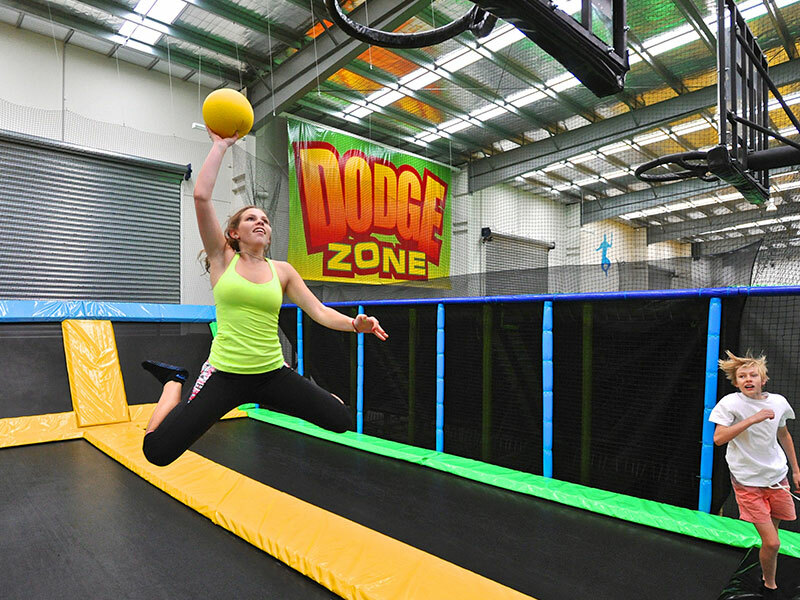 The Gravity Zone Wall located in Pro Zone provides experienced jumpers with the opportunity to defy gravity and climb the wall. The basic premise of a wall jump is that a skilled jumper leaps from the Olympic Grade Trampolines into a designated wall and pushes off its surface in order to start another jump. The wall is for skill jumpers and we recommend perfecting your skills on the trampoline before attempting the wall. Bungy! A great opportunity to perfect your skills before you hit the big trampolines. Practices your flips and tricks while secured safely in a harness, you’ll have the best view in the house while flying through the air defying gravity all in the safe hands of one of our Gravity Team Members. Purchase your tickets for Bungy at reception to secure your spot on the day, bookings are essential. The Re-Fuel Zone is Gravity Zone fully catered café. The Re-fuel Zone overlooks the entire layout which enables adults to relax with a GREAT coffee and a delicious meal and jumpers to replenish their energy. The Re-fuel Zone offers a variety of food and drink catering to those who wish to eat healthily or to those with a bit of a sweet tooth. We can also cater to those with special requirements.